Spark and fire detection in industry is an important element in maintaining a safe working environment. Hazardous areas should be monitored by reliable, fast acting detection, like the Talentum system. Dual Infrared (IR2), Ultraviolet / Infrared (UV/IR), and Triple-Infrared (IR3) detectors provide exceptional protection, specified for your requirements. Can you depend on your fire detection equipment? Many sensors are prone to false alarms from heat and light. Because our detectors respond to the flicker of spark or flame, radiant heat is ignored. Specific models are designed for bright or dark locations, as well as for use in hazardous areas. Flicker from any spark or flame is detected by the optical infrared sensor, while static radiation from warm objects is ignored, Flicker technology is very tolerant of dust and condensation. Infrared detection is fast and accurate, as it does not depend on an incremental rise in temperature, or a certain level of CO. 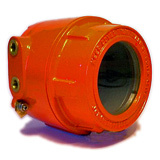 Durable housings for long life and for use in harsh conditions, including high temperatures. Sensors are tolerant of dust and condensation. Clients report system payback by preventing increases in, or by the reduction of insurance premiums. MPS is proud to offer a full range of Fast-Response Fire Detection Sensors, to suit a wide range of environments. Utilizing a combination of sophisticated photocells, we can recommend the best sensor for your application. MPS Talentum offers a wide range of sensors to cover a wide range of applications. Our goal is to provide fast response to combustion, while minimizing or eliminating false alarms. Finally, there is a Easy, Accurate, and Reliable way to test flame scanners and fire detectors in house. Designed to generate a wide variety of optical output signals, the 16091 Flame Sensor Test Unit assists in determining the working condition of a variety of sensors. Most power plants maintain boiler flame sensors or scanners, which sometimes require testing. 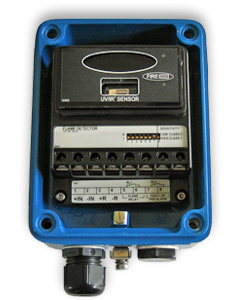 A single test unit can be used to generate signals for assisting in general maintenance and troubleshooting on most sensors. 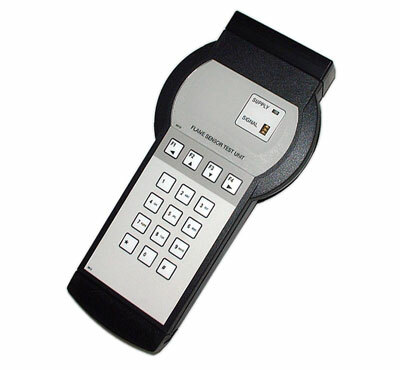 Keypad and scrolling features provide an intuitive method of cycling various intensity and wavelength settings. Calcium Fluoride lens allows for UV, Visible, Near Infra-red, and Mid. Infra-red wavelengths. Bulb generates high, mid, and low intensity. 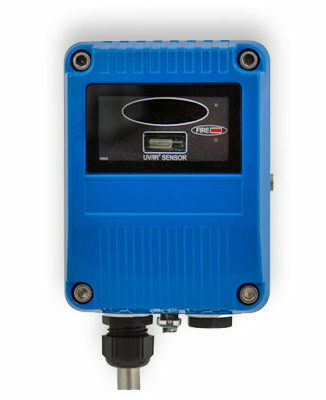 24V DC output supplied on terminals at the base of the unit allows for portable testing on the boiler front, or when 115V AC is not available. While new-style flame monitoring sensors have proven reliable and require little maintenance, all sensors should be tested from time to time. Older UV and IR sensors may require more frequent attention. Lower costs and downtime by testing sensors, scanners, and detectors in house and onsite. The 16091 is able to generate a wide range of signals, including constant illumination, regular flashes, and irregular flicker, to simulate flame. Internal rechargeable NiCd battery provides 24V current loop to power sensor anywhere, anytime.